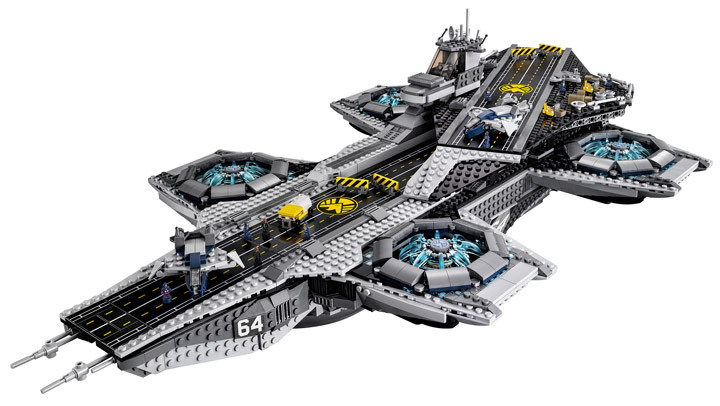 Lego recently revealed the massive SHIELD Helicarrier (76042) will be almost 3,000 pieces, with a $349.00 price tag. 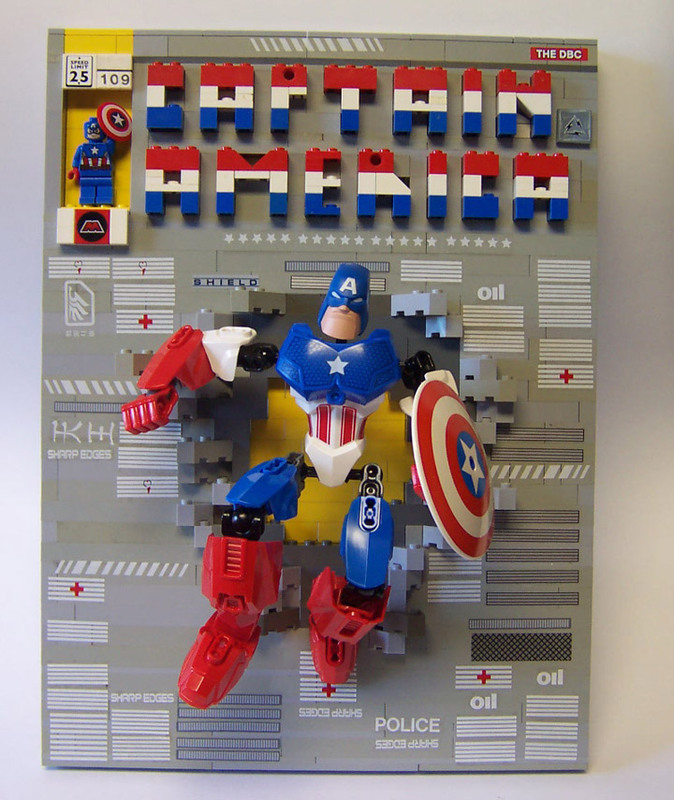 It can be really difficult to imagine the size of the larger Lego sets, and the box artwork doesn’t help. 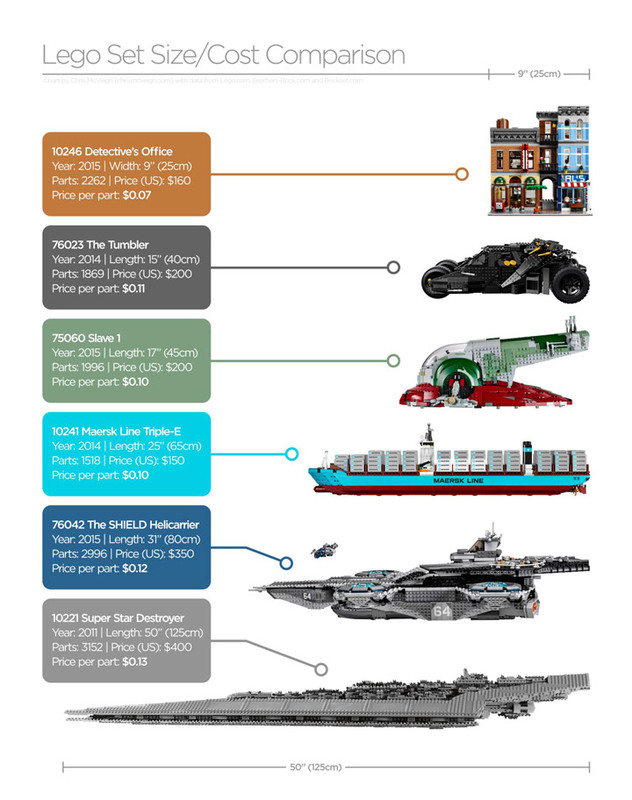 Chris McVeigh (Powerpig), of A Side of Ham, has created a really nifty comparison between the Helicarrier and some of the other large Lego releases. So in the end, it looks like the Helicarrier = 3 Modulars wide. Whoa. There have been rumors for a few months that Lego would be releasing a SHIELD Helicarrier (and many huge Lego Ideas projects). 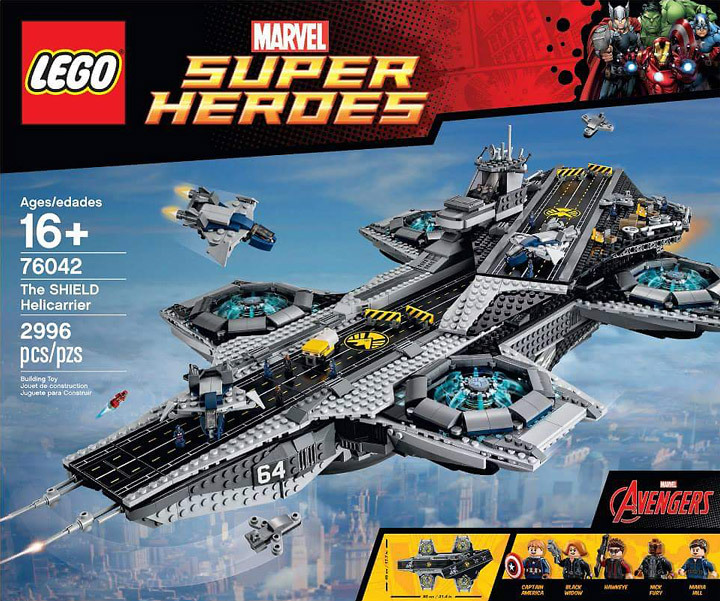 It is not a rumor anymore, Lego has just announced the Lego Super Heroes, The SHIELD Helicarrier (76042) from the Avengers film will be released soon. The biggest problem about such a set is the scale, it is just so large that what everyone wants is just not a feasible release. It would be either too big or too small. What we get here is an amalgamation of a few scales in order to best represent the massive flying fortress. 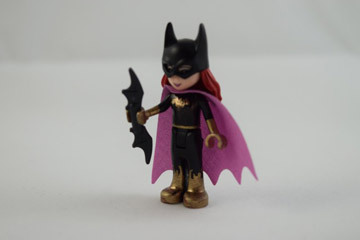 Interestingly, there is a whole set of Minifigures, and Microfigures (Mini-Minifigures). 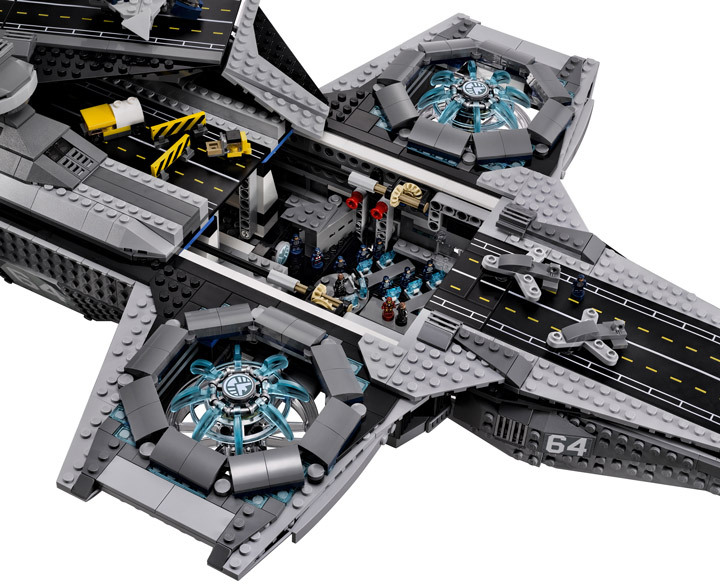 The Helicarrier will include 2,996 pieces, and will retail for about $349.99. It will be available on March 1st. 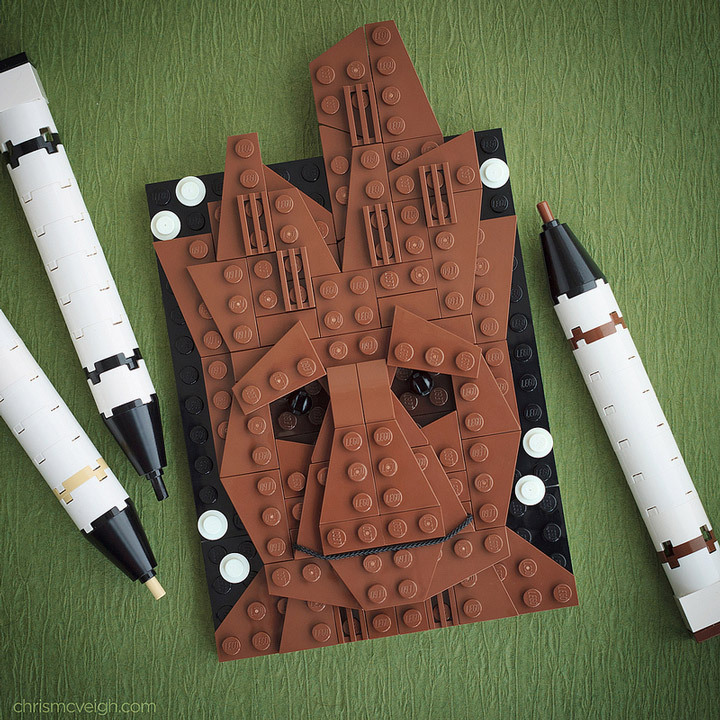 Just in time for the Avengers: Age of Ultron film in May. This thing is huge. It is 2 1/2 feet long (31″ or 80cm) long and almost almost 1 foot tall (11″ or 29cm). The included Quinjets are a nice touch; even if they are way out of scale. The tinnier Fighter Jets fit in much better but are less recognizable. 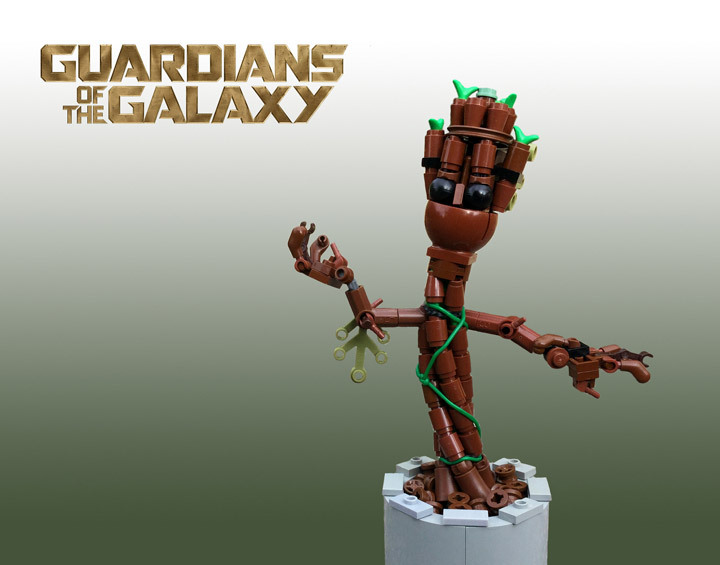 This seems like a good compromise, by including both Lego is giving you options for how to display this. Even though this is not the typical kids playset, Lego has still included a handful of play features. The engine rotors are internally connected and can be turned with just one handle movement. The top deck, runway, can be removed to reveal a fully featured bridge. Both of these features can be connected with the Lego Power Functions, which will light up the interior and spin the engines automatically. One of the coolest details is the fully detailed bridge. 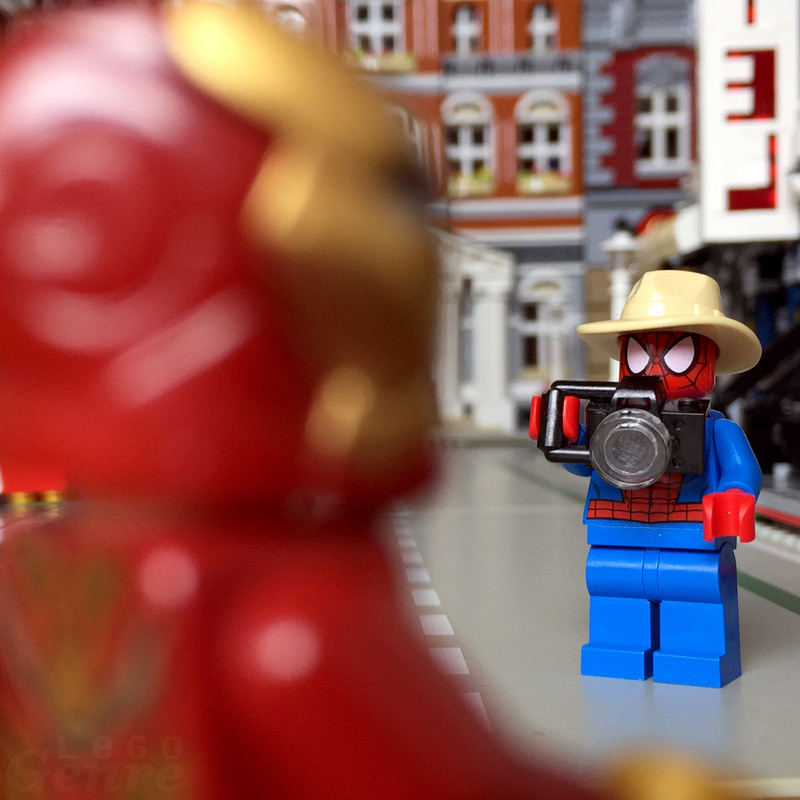 With the Microfigures it is looking semi-accurate to the film version. 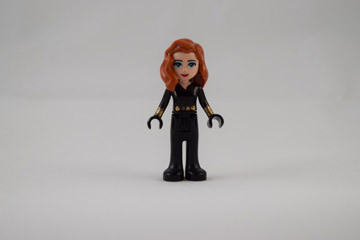 Includes 5 minifigures: Nick Fury, Black Widow, Captain America, Hawkeye and Maria Hill, plus an iconic SHIELD eagle stand to display them on. 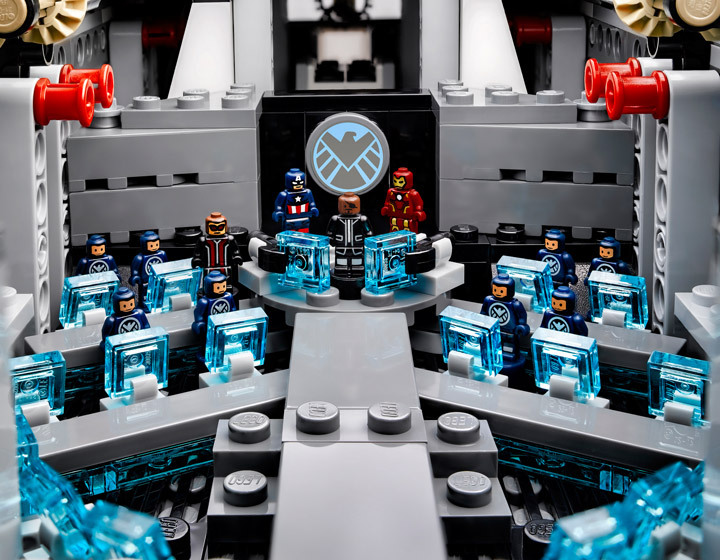 Features 3 microscale Quinjets, 3 fighter jets, a gasoline truck, 2 forklift trucks, 2 runways, 4 road blockades, armored exterior with translucent elements, detailed interior, plus 12 microfigures (Nick Fury, Hawkeye, Captain America, Iron Man and 8 SHIELD agents). Also includes a detailed runway. 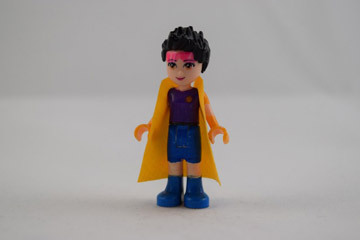 SHIELD Agent Maria Hill minifigure is new for spring 2015! 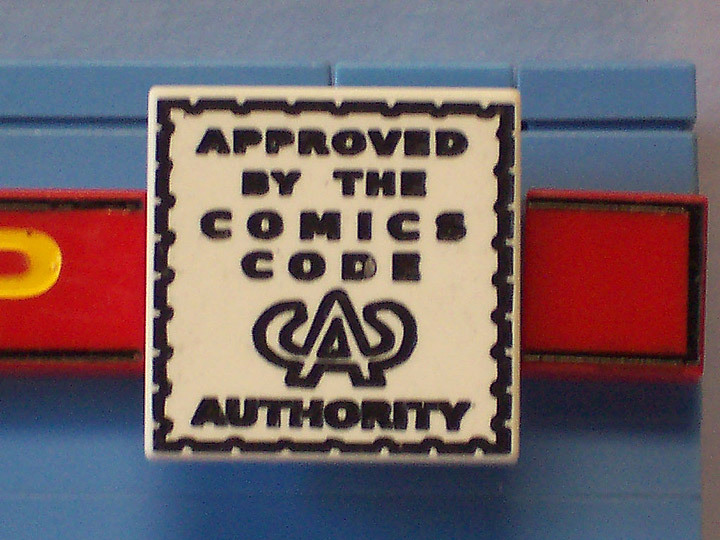 Includes a plaque with facts about The SHIELD Helicarrier. Add lights and spinning rotors to the Helicarrier with the 88000, 8883 and 8870 LEGO® Power Functions sets (sold separately). Rotors can also be turned manually. Lego has really got something going with their Modulars Buildings. There have been 9 full sets released since 2007, and there are no signs of this theme slowing down. 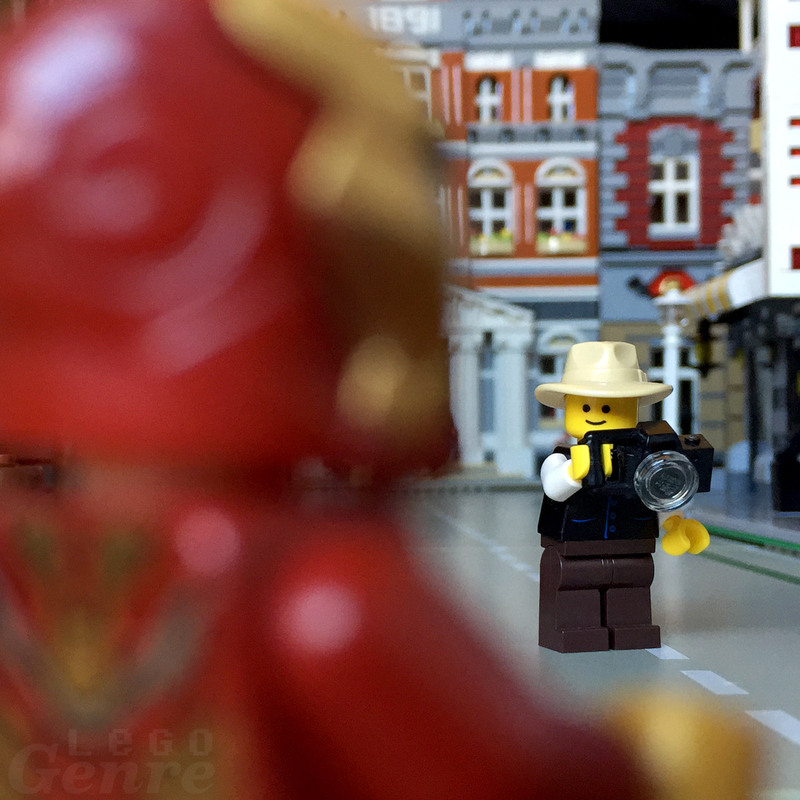 There are credible rumors going around that the next official release will be the Lego Modular Detective Agency. With a release in January 2015. Even with a yearly (roughly) release schedule people can’t get enough of these. 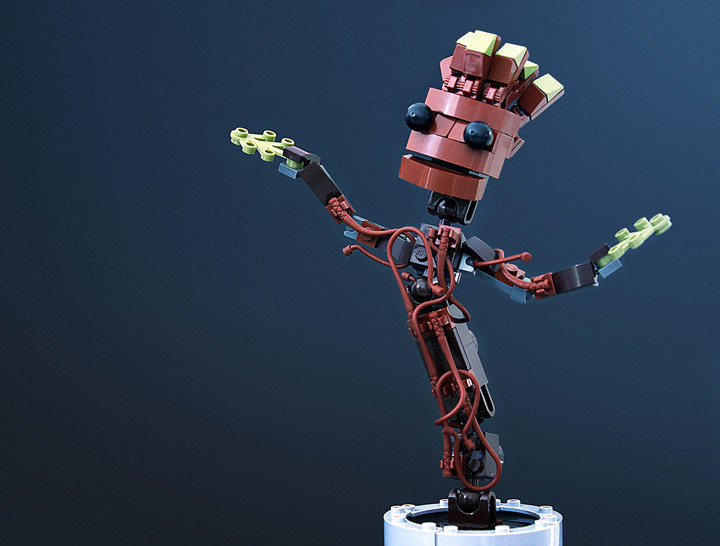 There are hundreds of well built MOCs expanding on this theme out there. See the Cafe Corner inspired Lovely Hotel, or Emma’s Place as examples. 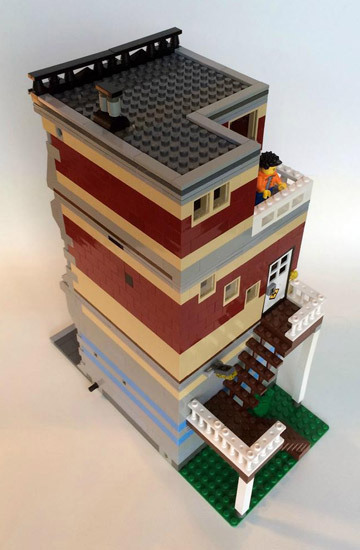 This new MOC called the Lego Modular Comic Book Store, has been built by SargeantSasquatch. 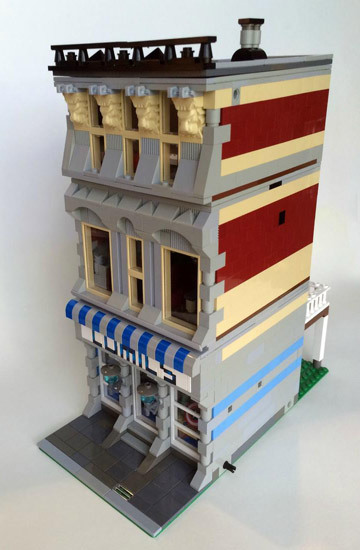 It features a small comic shop, and an apartment above. 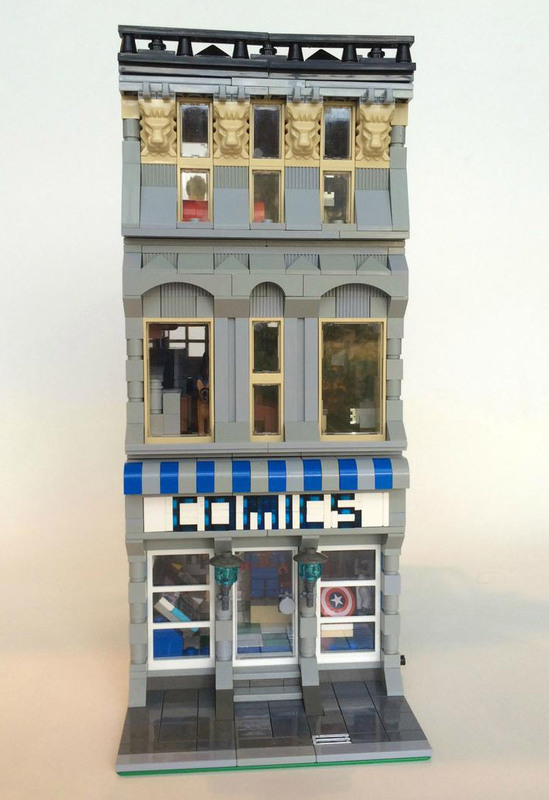 This Lego Comic Book Store is built at 16 studs wide (1/2 the normal modular size). It features a red, tan, and blue color scheme. Which is very reminiscent of the famous Cafe Corner. The main attraction is the store. 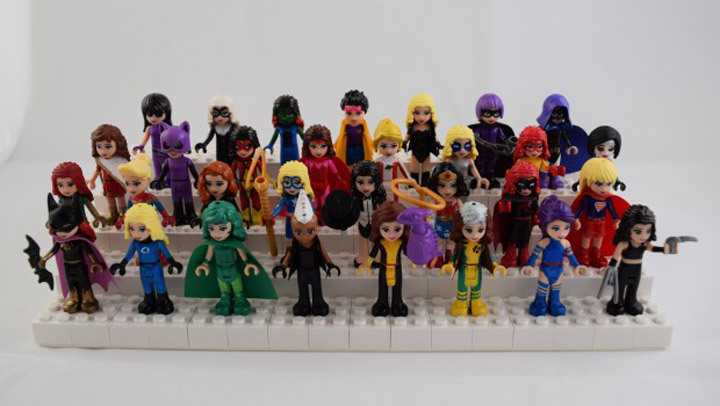 Which wisely uses the recent Lego Super Heroes theme to help populate the shelves. 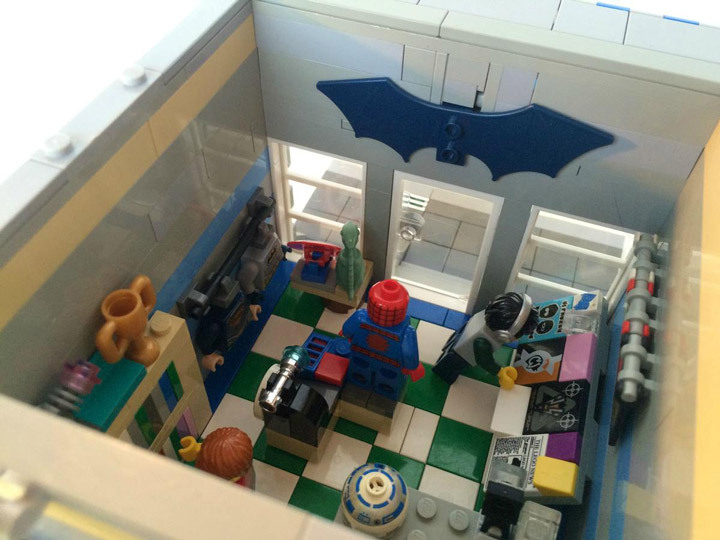 The details are great, with Batmans Wings above the door, Captain Americas Shield in the display window, and even costume hanging on the wall. Sitting above the comic shop is a fully furnished apartment. Which is similar to the official Pet Shop. 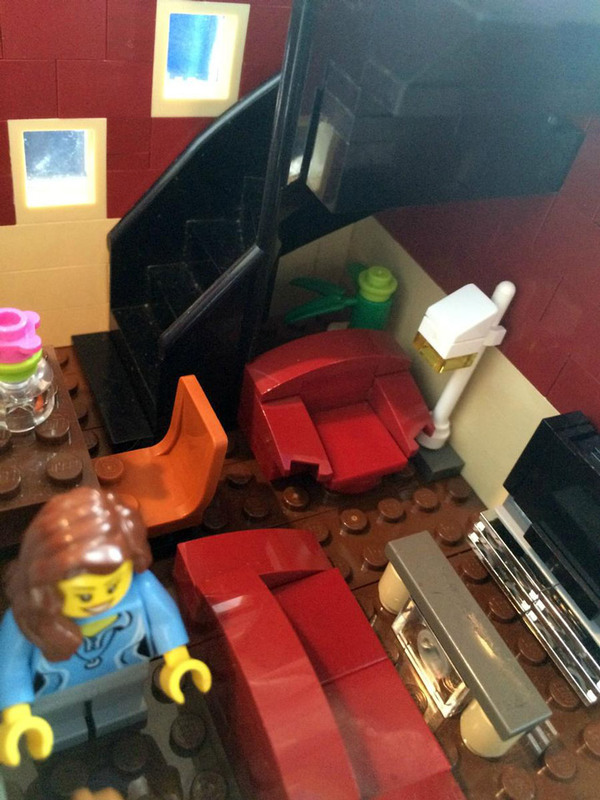 The ground floor features a really awesome red sofa and chair. Plus a sleek flat screen television. This spiral staircase leads up to the second floor which is the bedroom. 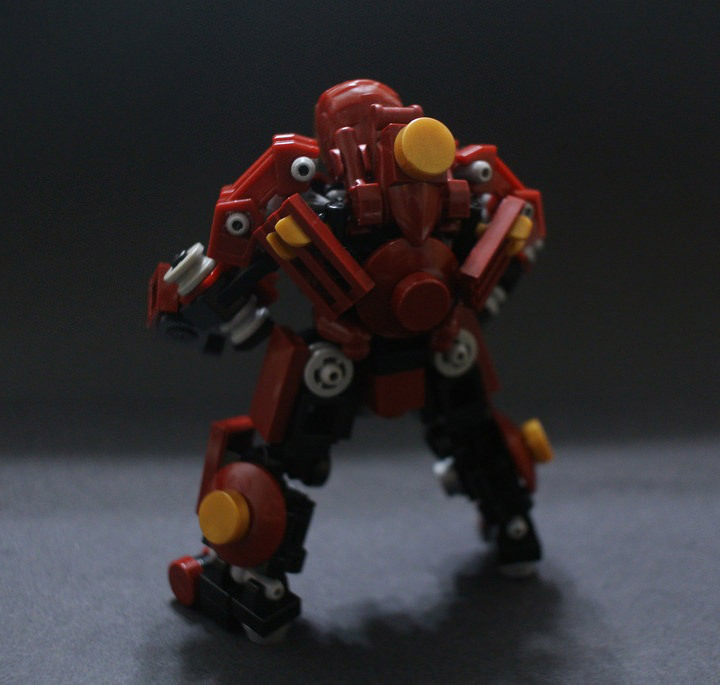 Most Lego Hulkbuster Armor builds focus on size. 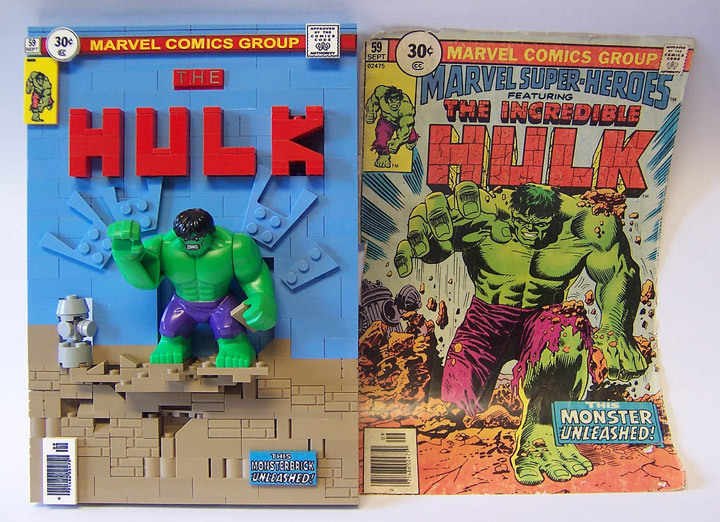 Most of them end up towering over the official Hulk figure. 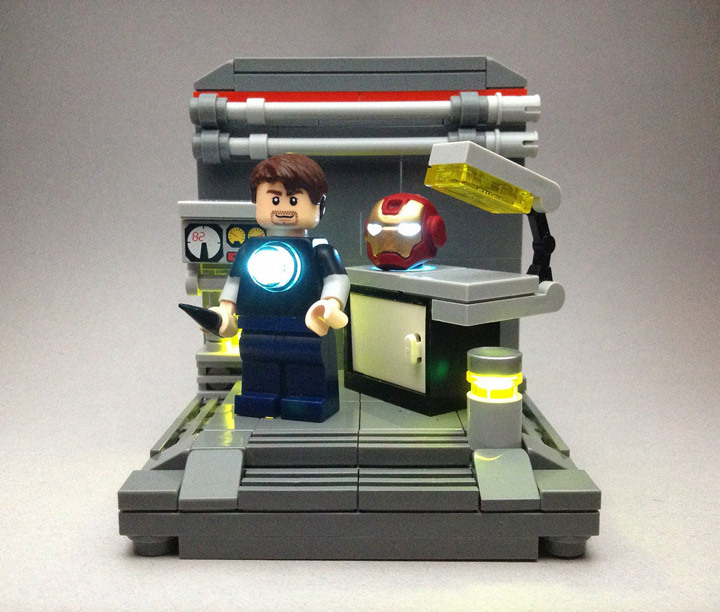 Although there is a certain charm to seeing a such a massive Iron Man, having a more proper scale version is awesome. 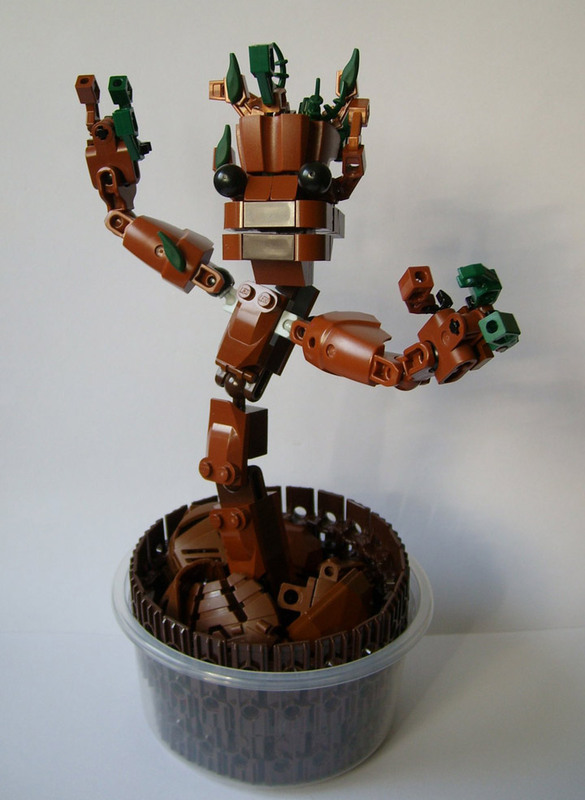 Over on Lego Ideas, Ka.Lor has proposed their version of the Hulkbuster. 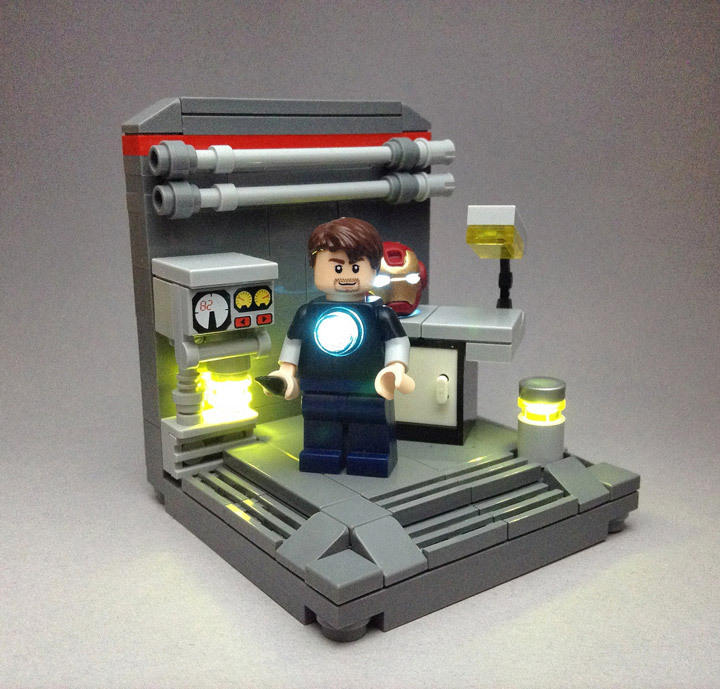 By not having to design a full pilot cage for an Iron Man Minifigure, Ka.Lor is able to focus on mobility and structure. 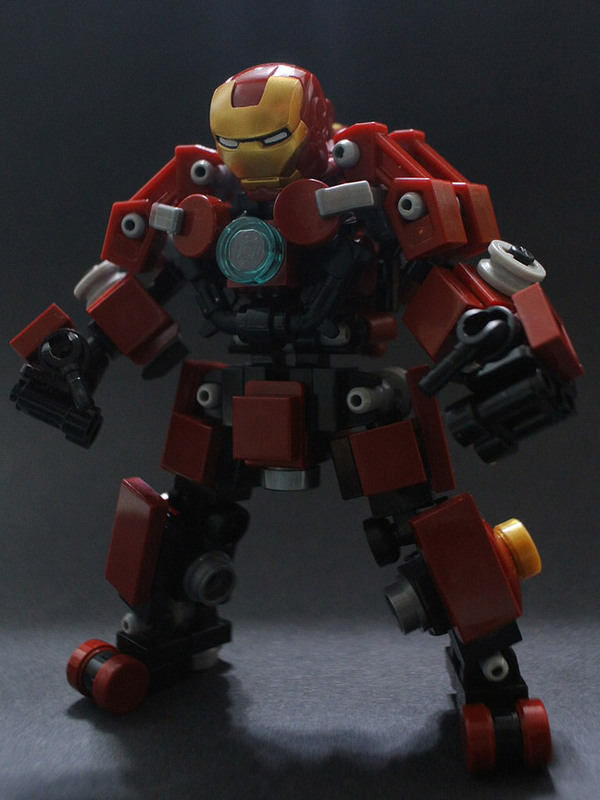 The end result is a Hulkbuster that is amazingly tiny, yet still incredibly imposing. 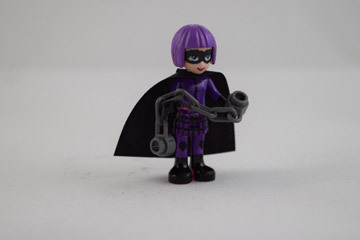 Some of the details here are great, such at the Lego binoculars being used for fingers, Minifig hands being used for various clips, and even tiny Lego pistols being used to define the chest shape.